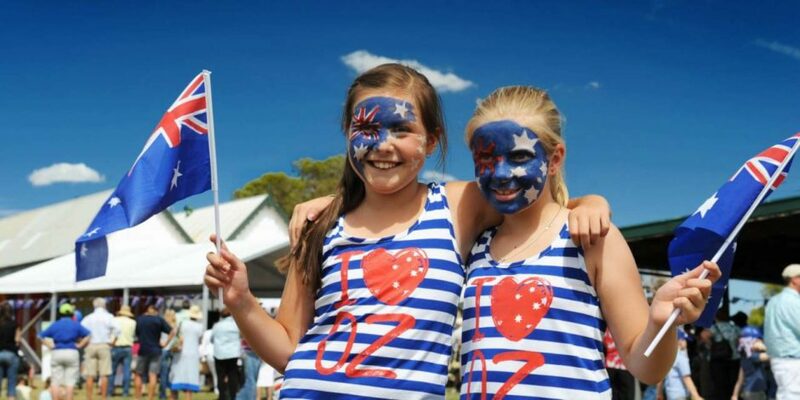 The Central Coast is turning up the fun in celebration of Australia Day and the long weekend. Australia Day celebrates, you guessed it, Australia! It’s a brilliant country and if you’re thinking of moving here make sure you know all the best health professionals, especially a Dentist. 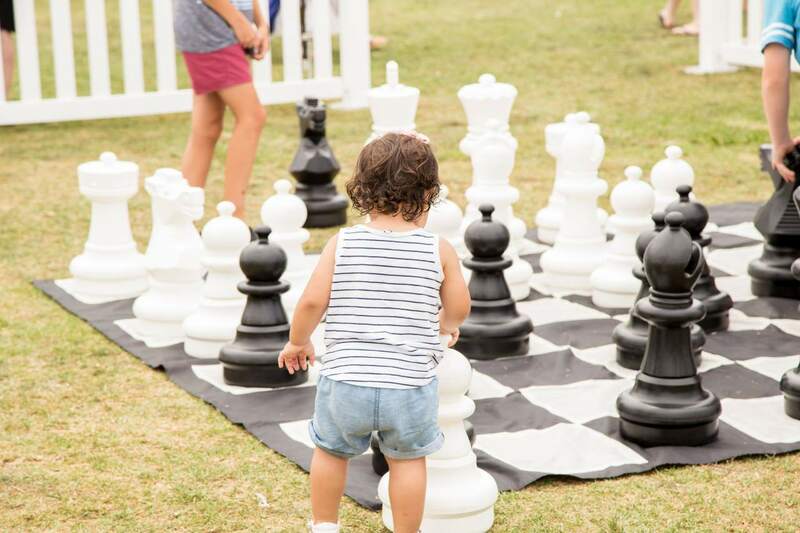 Slap on some sunscreen and join in the family fun at one of the many FREE festivals taking place across the Central Coast. There’s backyard cricket and sprinkler action at Glenworth Valley, thong-throwing contests at Canton Beach and fireworks at The Entrance and Woy Woy. It’s the final weekend before school resumes and it looks set to be a whole heap of fun. The waterfront at Woy Woy will become a hive of activity this Australia Day. There will be food and market stalls, community displays and live music acts, including headliner The Nevilles, hitting the stage. There’s a heap to entertain the tribe: drumming and flower-crown-making workshops, face painting, slot cars and – we love the sound of this -zorb balls on a blow-up pool! 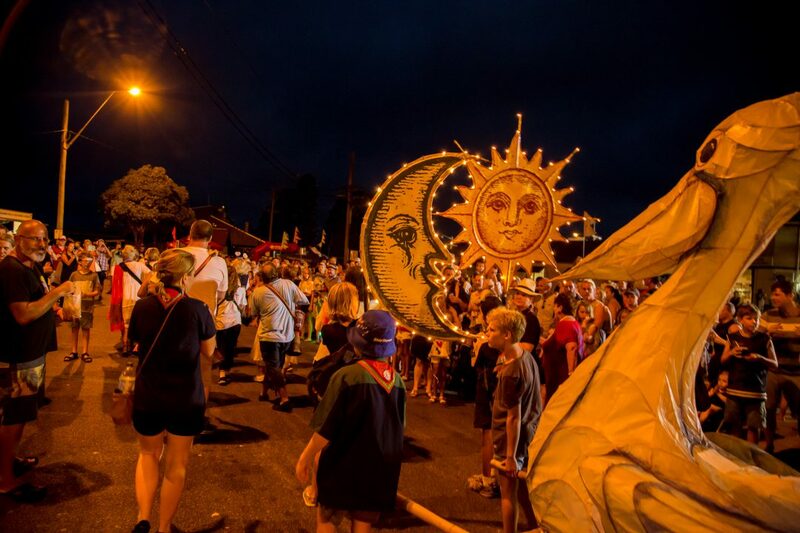 Let your kids get arty-crafty in a lantern-building workshop (from 3pm) and then partake in the Lantern Parade at 8.20pm (starting at Main stage and finishing just past memorial park). The night will end with a fireworks display at 9pm. Where: The Foreshore, Woy Woy. When: Australia Day Saturday 26th January | 2pm-9pm. Council’s pulling out the lawn games and transforming The Entrance’s Memorial Park into one ginormous Aussie backyard on January 26. The whole family can have a laugh joining in on a game of bowling, Mega 4, Chess and sack races. If you’re up for some competition (and dessert), join in on the ice-cream-eating competition (4.40pm) or have a go at the Ducks for Bucks race which raises money for Surf Life Saving Central Coast (6.10pm). The event will close with a fireworks spectacle over the water at 9pm. Plus, The Memorial Park carnival will be in full swing this Australia Day. You’ll find rides, plaster painting, temporary tattoos, face painting and corn on the cob. Where: Memorial Park, The Entrance. When: Australia Day Saturday 26th January | 1.30pm-9pm. It doesn’t get more Aussie than this: get to Canton Beach for thong-throwing and lamington-making competitions. Kids can saddle up for a FREE pony ride, get their face painted and enjoy some furry cuddles at the animal farm from 4pm-7pm. All night long there will be mini jeep rides, jumping castle action, a mad magician and food trucks selling icy slushies, hot chips and other treats. The fun will end with fireworks at dusk. Glenworth Valley is hosting a FREE Australia Day “Big Backyard” BBQ. And when they say “Big backyard” they’re not lying: this family-owned property spans 3,000 acres. Pack your swimmers: kids are going to love running through the sprinklers. They’ll also have the pitch set up for a game of cricket, a net hung for volleyball and the inflatable soccer turf blown up. You can join in on the activities, or just sit back with a glass of vino and enjoy the sweeping views and live acoustic music (5pm-7pm) from the deck of their Events Centre. Kids aged 3-12 can hop into the saddle and enjoy a lead-pony ride. 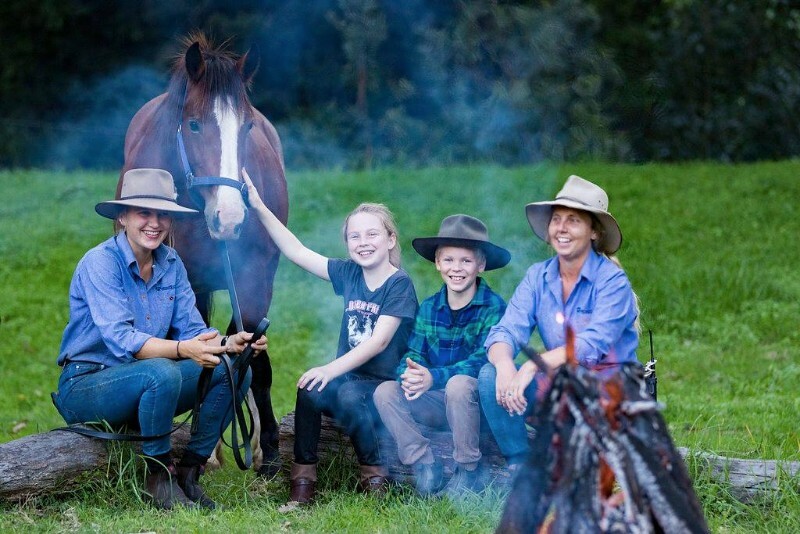 Up to four children can share the one-hour horse-riding experience (obviously one child in the saddle at a time), which makes it a fun and very affordable way to give your kids a little taste of horse riding. It’s $60 for the hour. Food is available for purchase, including the much-loved Aussie sausage sanga and pavlova, and the bar will be serving local beer and wine. Make sure you stay to witness the Valley’s famous Running Of The Horses spectacle in which some 250 horses run across the paddocks. On January 26 it’ll be appropriately themed with Australian flags and man from Snowy river music. Once the sun sets they’ll set up the fire pits – there’ll be sticks aplenty but best BYO marshmallows. Want to make the most of the three-day weekend? Book one of their camp sites, tipis or cabins. Click here for details. Where: 69 Cooks Rd, Glenworth Valley. When: Australia Day Saturday 26th January | 3pm-7pm. If you’re staying local during the long weekend there are plenty of activities to keep you and your kids occupied. Colour me in Fun Run in Umina | Sunday 27 January. Slip, slide and splash at Waterworld Central – a mobile water park – at Doyalson | All long weekend. 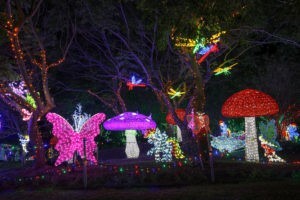 The Lights Spectacular at The Hunter Valley Gardens. Click here to read our review and to see our pics | All long weekend. 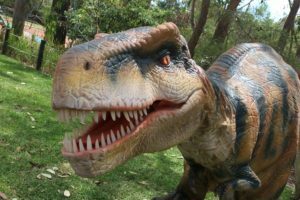 Roaming dinosaurs at The Australian Reptile Park | All long weekend. Gosford Waterfront Carnival (Dane Drive) – rides, fairy floss, corn on the cobb and clown games | Saturday 26 January.